The Olathe Convention and Visitors Bureau (CVB) approached Indicia about rebranding the perception of the city. The largest obstacle was how to position a city (Olathe) within a larger, more established city (Kansas City). In collaboration with the Olathe CVB, a focus group of key stakeholders, including local business owners, city leaders and individuals from outside the city were assembled to ascertain perceptions and gather ideas on how to better position the city. From this research, it was determined that Olathe is home to big city adventures and small town escapes, serving as a hub between other surrounding communities (and ironically, it is also the point where the Santa Fe, California, and Oregon Trails intersect). 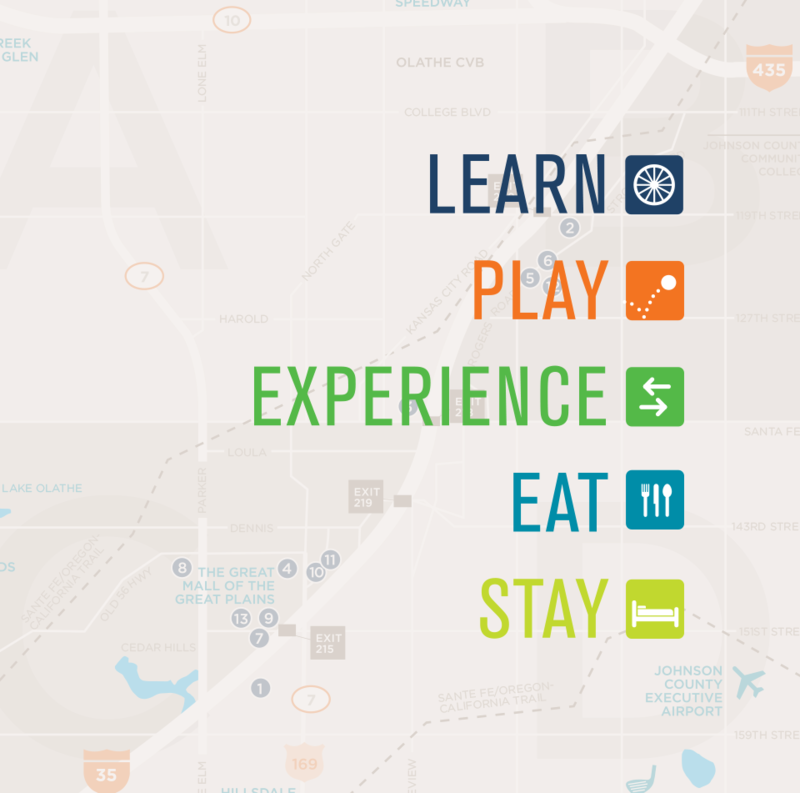 The tagline “Olathe: Crossroads to Adventure” was created. 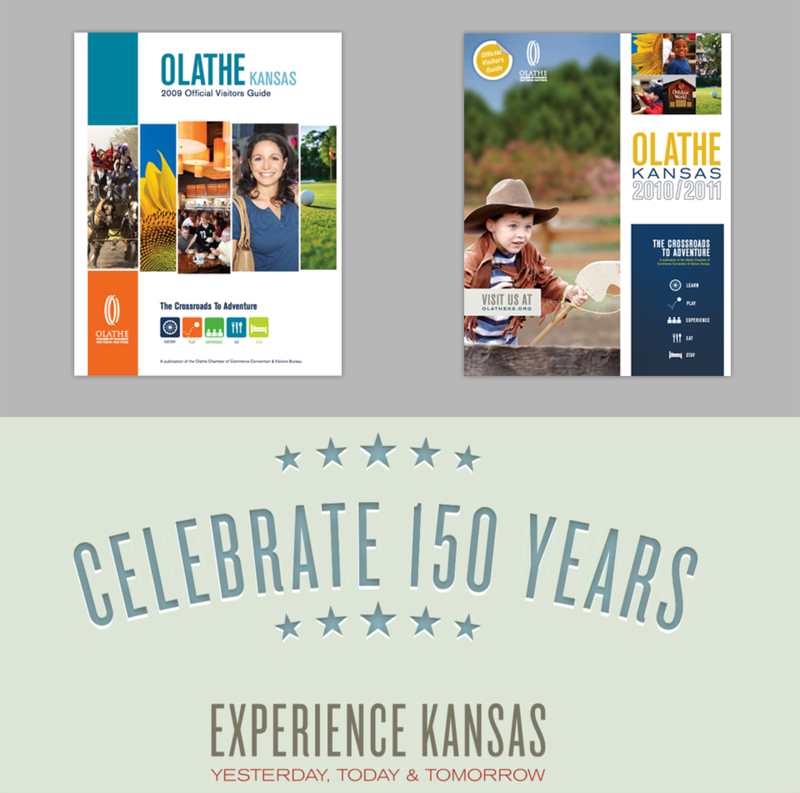 The new tagline was applied to the rest of the Olathe CVB’s marketing collateral, including print advertisements, Visitor Guides (shown above), and a citywide marathon event. The new positioning and brand elements received positive accolades from local and surrounding communities and Chamber of Commerce groups. Within the first two months of the rebranding effort, requests for information about the city had exceeded the client’s goals.